You’ll no doubt have heard the adages “people have short memories” and “the memory cheats”. Both phenomena have been around for as long as anyone can remember, perhaps longer – if only we could remember. But you may not have heard of The Khe Sanh Effect. People do have a tendency to forget, but the memory doesn’t cheat all by itself. 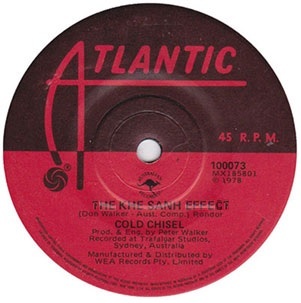 Just ask the average Australian to name the biggest hit by iconic Aussie rockers Cold Chisel; invariably, they’ll name Khe Sanh. If radio and video airplay and a general sense of reverence since the 1980s was an accurate reflection of its original success, anyone could be forgiven for assuming Khe Sanh was the biggest selling single ever released by any artist in the history of music in this country. In fact, as Cold Chisel’s début single in 1978 it didn’t even crack the Top 40 and the band subsequently released other much bigger hits. Meanwhile Khe Sanh rose above mediocre commercial success to become Cold Chisel’s signature and secured its place in the annals of history as an icon of 70s Aussie pub rock. Ask anyone old enough to remember that original release and some will no doubt be surprised to learn of the gaping chasm between recollection and reality. The Khe Sanh Effect is just another variation on the memory phenomena, whereby the constant stream of news that bombards us, day in and day out, skews our view of what’s happening in the world and concurrently alters our recollections of the past. With blanket coverage across all forms of media during 2014, aviation disasters factored heavily in last year’s news. The highest profile losses were two Malaysia Airlines flights, but compounding the sense of disaster was the loss of another three flights, all during bad weather, in the last six months of the year. It’s important to note that these statistics reflect aviation disasters that have been attributable to almost every potential cause, including engine or other mechanical failures, failed takeoffs and landings, bad weather, pilot error, bird strikes, mid-air collisions, onboard explosions, hijackings or other terrorist activity and military action. It’s also important to note that individual incidents don’t always result in 100% fatalities, with the proportion of passengers who survive crashes of airliners carrying more than 100 having significantly increased over the last ten years. If all of that still hasn’t made you feel a whole lot better about the next flight you take, try looking at it like this: in 2014 there were 33 million takeoffs around the world, a 6% increase over 2013. 3.2 billion passengers travelled somewhere on a plane at some point during 2014. What does all of that mean? Simply that only 0.0004% of all planes that took off during 2014 went on to crash and that just 0.00004% of all passengers who took a flight during 2014 were actually killed in a plane crash. In short, while the numbers of both flights and passengers have increased, the rate of accidents hasn’t. Statistically, your chances of dying in a plane crash are remote to begin with, but your chances of dying in a plane crash during 2014 were so far from being the highest they’ve ever been… and so much better than they would’ve been in 1973! Ask anyone old enough to remember the highest profile aviation disasters of the 1970s and 1980s how 2014 compares. Some will no doubt be surprised to discover the gaping chasm between their recollection and reality. It’s The Khe Sanh Effect all over again.